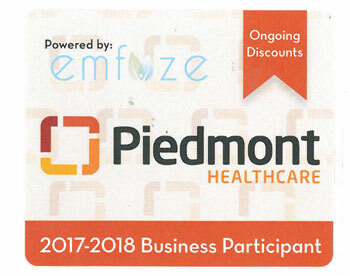 Company Page | Piedmont Insurance Associates, Inc.
Our staff is always ready to answer your question or make a change on your insurance policy. We offer our customers two convenient Georgia locations—one in Covington and the other in Newnan. Contact Us and let our courteous, professional staff help you protect your financial well-being today. Piedmont Insurance Associates began in 1989 when M.E. Ashurst purchased the Spillers Agency, established in 1948 by the late Otis Spillers in Covington, Georgia. In 1995 David Wilson merged his agency, Piedmont of Monroe, with Piedmont Insurance Associates, Inc. One year later, Phil Boswell merged Boswell/Dorminy Insurance Associates with Piedmont. In November 2003, Wilson, Boswell and David Jean became the principals following the retirement of M. E. Ashurst. In 2008, Piedmont Insurance Associates expanded to Newnan, Georgia with the purchase of Glover Insurance, a company serving clients in the Newnan area since 1931. Two years later, in July 2010, Piedmont’s Covington branch moved to its new location at 10243 South Dearing Street. After 80 years at its original downtown location, the Newnan office moved into its new office at 51 Jefferson Street in October 2010.